DISCLAIMER: These picture are old. I mean OLD. And were previously published on my rickety blog. I'm slowly going through old posts, cleaning them up, and sharing them here. In the mean time, enjoy my rushed photo editing skills of 2013. 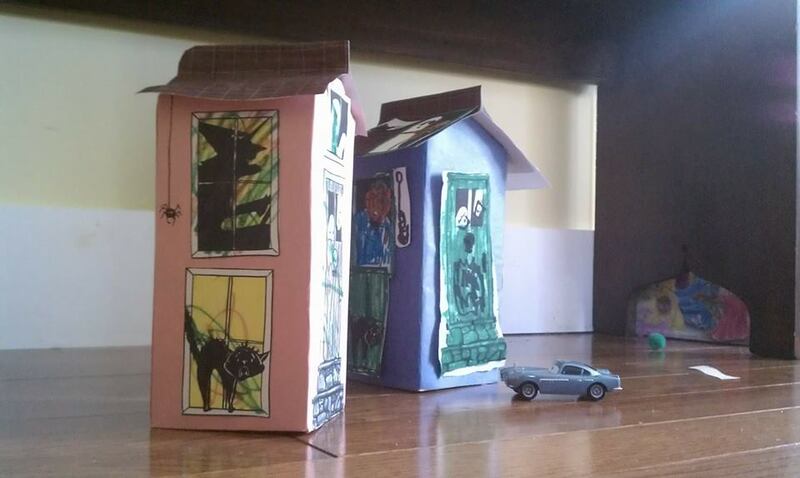 The kids used half gallon milk cartons for this project, but you can use any box, or, heck, just a flat piece of paper! I've created a collection of window scenes from a spooky haunted house. Who would be at your house? A vampire? Perhaps a witch? Or a trio of ghosts? Why not all of them?! 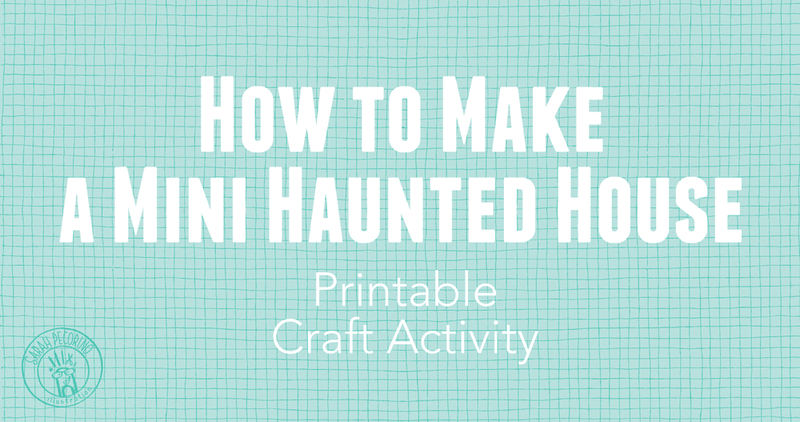 I've included detailed instructions to make the Milk Carton Edition of this spooky haunted house. For the little kids I printed the characters out at full scale. At this size you can fit two windows or one door on each side of the milk carton. If you would like to fit more windows per carton side print out the character pages at 50%. Both kids opted for non-traditional haunted house colors, of course. Next, I want to try to apply these character windows to a flat black silhouette of a house to hang on the wall. Or maybe I'll make a Halloween greeting card with a couple of the windows and door. Wait, how many more days before Halloween?! 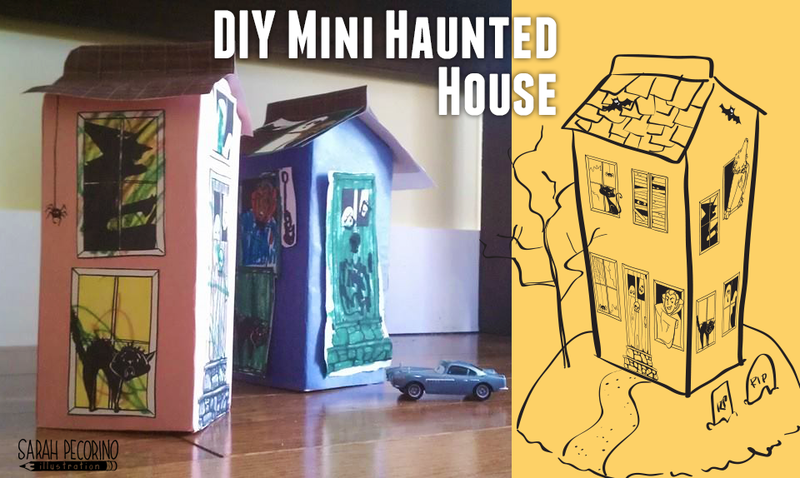 Click here for full instructions and print outs for the DIY Mini Haunted House: Milk Carton Edition. Don't forget to share pics of how yours came out! If you share your finished craft on Instagram, be sure to tag me @sarahpecorino. I'd love to see how yours turned out! And don't forget to sign in to the Paper Clip Clubhouse for your exclusive fun and freebies.